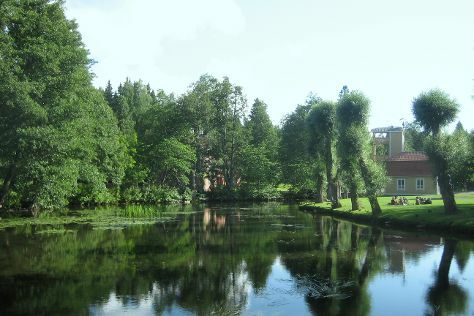 Explore the numerous day-trip ideas around Tammela: Fiskars (Fiskars museum & Fiskars Village), Laurinmaki nature and culture area, Crofter's Museum (in Janakkala) and Veturimuseo (in Akaa). There's still lots to do: explore the striking landscape of Torronsuo National Park, pause for some serene contemplation at Tammelan kirkko, and steep yourself in history at Mustiala Manor. To find ratings, maps, reviews, and tourist information, refer to the Tammela tour itinerary builder . If you are flying in from Germany, the closest major airports are Helsinki Vantaa Airport, Tampere-Pirkkala Airport and Turku Airport. In May, plan for daily highs up to 17°C, and evening lows to 4°C. Cap off your sightseeing on the 2nd (Sun) early enough to travel back home.